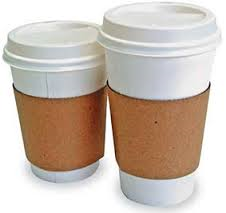 Our Michigan burn injury lawyers recently filed a hot coffee burn case on behalf of a minor burned as a direct result of the Defendant’s failure to properly secure or put the lid onto the coffee cup. The claim seeks compensation for her pain and suffering and medical bills incurred as a result of the injuries related to the coffee burn. The incident occurred in Romulus, Michigan at the McNamara Terminal in the Detroit Metro Airport. The minor child, a three-year-old girl, suffered second degree burns to her back, shoulder, neck and face as a result. She was treated at the University of Michigan Hospital burn unit clinic. The scarring will likely be permanent. It is unknown if skin grafting will be required at this time. It is important that if you or someone you know suffers burn injuries from the negligence of a person or business to contact an experienced law firm who can help assist you in making your claim. Often times, the Defendants will give misinformation and the best way to combat and refute the misinformation is to have an attorney on your side. Call our top rated law firm today at (800) 606-1717 to speak with one of our expert and qualified burn injury lawyers. Burn injuries from hot coffee can be very serious and often life changing. Let us help you get the compensation you deserve. Call now for your Free, No Obligation Case Review!